Quite a bit of progress has been made over the past few weeks. If you look at the FTM 2017 Release Page, you will see that they are currently in the midst of the Test Drive 2.0 release, and are looking at a July 15, 2017 release date for everybody, as in it will be out of beta. Note/Commentary: MacKiev (and Ancestry.com by proxy) continue to receive a lot of criticism in regards to the delayed release/launch, and the length of the beta testing. 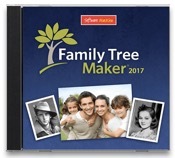 If you remove the synchronizing of the family trees with Ancestry.com, I believe Family Tree Maker 2017 could have been released in March of this year. However, that synchronizing is exactly why a lot of people use FTM. A lot of people do not realize that FTM 2017 is using a new synchronizing service that Ancestry.com rolled out (to replace the older service), and it could not be tested until the older synchronizing service was shut down. Additionally, because it was a new service from Ancestry.com, it had to be debugged and had to be checked to guarantee that people would not lose data when synchronizing between their local family trees and their online trees hosted through Ancestry.com. It became especially difficult the larger your family tree is (getting into the tens of thousands and above), and this new service was found to have some issues, including negatively impacting the performance of other Ancestry.com infrastructure. Those issues are very nearly worked out, and we are reaching a point where people can be comfortable with synchronizing their genealogy information and not worrying about losing data. While there has been criticism/noise about the lengthy beta-testing, the amount of outcry that would have ensued had FTM 2017 been rolled out without adequate testing of the new Ancestry.com services would have been tremendous if people started losing data, or were unable to fully synchronize (as in, during the actual process, the services timed out and stopped synchronizing). And keep in mind that Ancestry.com has not only had to improve/fix the new service multiple times just for FTM 2017 syncing, they are facing the fact that RootsMagic will also be synchronizing genealogy data with Ancestry.com for the first time in an upcoming update, putting more load/stress on the Ancestry.com infrastructure. All of this is not helped by the fact that there are plenty of people who do not use FTM and/or Ancestry.com, and felt the need to jump in and criticize the companies involved without knowing the issues involved. This is reminiscent of the Mac vs PC flame wars, Intel vs AMD, etc., and it’s something the genealogy community has always had (FTM vs RootsMagic vs Legacy, etc.). Our new “all trees” build will make it’s debut this weekend as part of Test Drive 2.0, an improved “getting started” program in which users take FTM 2017 for a spin, and two days later we do a diagnostic test to see how the ride has gone. If everything checks out OK, they just get to keep on using FTM 2017. If not, we can provide whatever attention is needed to help get everyone off to a good start. After Test Drive 2.0 gets started this weekend, we’ll monitor the “all-trees” build for 2-3 weeks, and assuming all goes well, by July 15th we expect to be ready to officially declare FTM 2017 released and start producing discs and USB drives. And since the “all trees” build is suitable for all trees, as previously announced our pre-order discount sale will end when Test Drive 2.0 begins. The price is still $29.95 for a download until then. 1. A deletion warning message. 2. Sync deletions marked in red. 3. Starting sync requires a click. By default, you will need to click a “Continue” button to accept the changes that are shown and start syncing – it will no longer be automatic after 60 seconds (like the older versions of FTM).